Does Zostavax Shingles Vaccine Cause Injuries | DeLoach, Hofstra & Cavonis, P.A. People rely on vaccines to keep them safe from deadly illnesses, but these inoculations aren't without their risks. 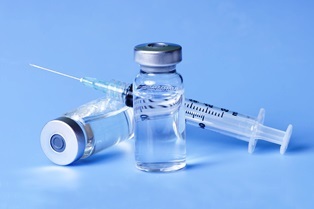 Patients recently came forward to share stories of severe adverse reactions after receiving Zostavax, a shingles vaccine commonly given to older adults. recover the costs of their injuries. Zostavax was approved by the U.S. Food and Drug Administration in 2006 as a vaccine to prevent of shingles in people 60 years and older. The vaccine, created by Merck & Co., was the only shingles vaccine approved for use in the United States until late 2017, earning the company hundreds of millions of dollars in sales annually. Shingles is a painful skin condition caused by the herpes zoster virus, the same virus that causes chickenpox. Patients who suffered chickenpox as children carry the dormant virus in their bodies, placing them at risk of a sudden activation of the virus, or flare-up, later in life as their immune systems weaken. Shingles presents as a painful rash that covers the side of a patient's torso and may cover the face, giving the skin a blistered appearance. These flare-ups can occur at any time, and patients who experience shingles near the eye can suffer permanent eye damage. Zostavax works by introducing a small amount of the live herpes zoster virus into patients 60 and older. Studies indicate the vaccine reduces the risk of developing shingles by about 50 percent; lessens the extent of symptoms in patients who suffer shingles; and can decrease the duration of the flare-ups. In the years since the release of Zostavax, more than a hundred patients claim that Merck and parent company Bayer knew the vaccine was dangerous; failed to warn patients of the vaccine’s potential side effects; and the companies’ employees intentionally misrepresented the safety of the drug. There are currently more than 50 Zostavax lawsuits pending in federal district courts, and these cases may be gathered into in a multi-district litigation as more lawsuits are filed. Stroke. Patients may be at risk of blood clots that travel to the brain, resulting in sudden loss of consciousness or brain damage. Cardiovascular problems. Some vaccination recipients suffered heart attacks or congestive heart failure. Shingles. One of the most commonly-reported Zostavax reactions is the development of sudden, painful, and persistent shingles outbreaks, some of which resulted in hospital visits. Autoimmune disorders. Older patients were diagnosed with Guillain-Barré Syndrome, Ménière's disease, and chronic inflammatory demyelinating polyneuropathy after immunization. Brain disorders. Patients may experience headaches, seizures, or encephalitis, (brain inflammation) in the days after vaccination. Pneumonia. Some patients suffer severe bacterial or viral infections that spread to the lungs, causing inflammation, breathing problems, and even death. Bell’s palsy. This form of facial paralysis causes an inability to control the muscles on the one side of the face, causing a drooping of the eyelid; taste and hearing changes; or facial twitching for several months. Vasculitis. Some people who received Zostavax experienced inflammation and destruction of the blood vessels. Spinal cord inflammation. At least one patient suffered paralysis and an inability to walk due to acute transverse myelitis, which is inflammation of the spinal cord. Post-herpetic neuralgia (PHN). This nerve damage can result in numbness or pain that persists at the site of the shingles outbreak, even after the blisters have healed. Vision and hearing loss. Some patients experienced blurred vision, permanent hearing loss, and retinal necrosis, which is tissue decay in the retina that resulted in blindness. Death. People who suffered infections, liver failure, and other critical conditions after receiving Zostavax weren't able to recover. If you or someone you love experienced severe adverse health complications up to two years after receiving the Zostavax vaccine, we encourage you to get in touch with us. Our dangerous drugs attorneys will determine if you're eligible to recover medical costs, pain and suffering, and other damages—and we don't collect any fees until we win your case. Simply fill out the short contact form on this page to speak with an attorney about your experiences and learn your legal options in a free case evaluation.